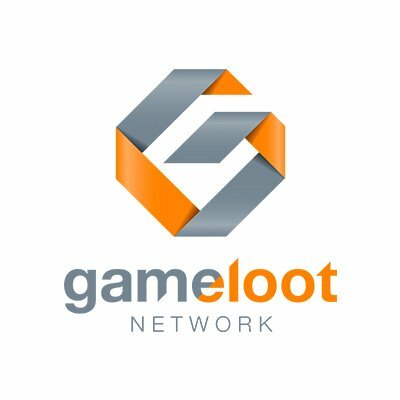 Game Loot Network (GLN) bounty campaign will be explained in details below. The total allocation for the bounty is 1% of the total token supply sold. This means that if all 425,000,000 tokens are sold 4,250,000 will be distributed amongst bounty participants. With the initial price of the Loot tokens set to 0.35 USD, it means that the value of the bounty prize pool could be stunning 1,500,000 USD! Bounty participants will be split into bounty pools based on their method of contribution with each pool having its own distribution Loot tokens. The fairest way to share the tokens in the bounty is by using the “stakes” system. You will be awarded "stakes" for each task you successfully complete in each pool. At the end of the token sale, the entire value of the pool will be distributed to the stakeholders based on the number of stakes they hold. The campaign will end when ICO finishes or when we sell all tokens. This means that the Bounty will end when the ICO ends, or before if all tokens are sold. Any submission of the shares/posts on this bounty thread before and beyond inclusive dates of each week will not be counted. Once a week our bounty-manager will be checking and renewing your status in the spreadsheet. Weeks will start on Monday (00:00 GMT) and end on Sundays (23:59 GMT). The spreadsheets will be updated each Wednesday for the previous week. You can join the Bounty Campaign at any time, but you can’t get stakes for the weeks that you have missed. Naturally, the sooner you do it, the more stakes you will get. The final spreadsheet stating all the stakes earned by each participant will be available within ten days after the end date of ICO. Each participant will be personally notified on BitcoinTalk when the tokens are sent. Help us reach the entire world by translating our materials into your native language! To reserve a language please post your interest with some of your previous translation work or contact the bounty manager. 1: Translations must be original, using any kind of tools such as Google Translate is not allowed. If found the translator will be blacklisted. 3: Always ask before beginning translation and post your previous translation work. 4: Translations must be delivered within 20 days of reservation. We only accept translation reservations for the first two weeks. Join our signature campaign and help us spread the word about our project among the community! We are looking for regularly active members. Negative trust members are not allowed to join this campaign. Regular posts in the alternate cryptocurrencies section are desired. Users that spam will be banned from the campaign and payment will be denied. We don't allow multiple signatures for the same user. Please change your avatar to the VooGlue supplied avatar according to your rank (below).
.[ LOOT ICO ❱ ❱ ❱ A p r i l 2 1 st ]. Weekly posts will be counted until Saturday 23:59 forum time. 1. If you want to join this bounty, please wear the signature based on your rank (below). 2. The signature should be kept until the end of the ICO. Removal of this during the ICO, results in a disqualification. 3. During this period you must post on BitcoinTalk at least 5 posts per week. 4. Only high-quality contributions are counted. Contributions without any meaningful and constructive benefit, with the intention of increasing the number of contributions, will be disqualified. 5. Payment will be made after the shares have been determined after the end of the ICO. 6: Please keep your signature, even after the end of the ICO, in your Bitcointalk profile. The calculation of your shares can take more than a week. The Reddit bounty program will consist out of two parts. One will be related to the support of our subreddit and other one to direct promotion on the platform. Support us on Reddit and earn stakes! 4. Share the URL to your Reddit post in the Bounty Topic in order to get the stakes. Help us spread the word about GLN on Reddit. 1. For a post to be counted, it needs to be posted in one of the following subreddits, or cryptocurrency related subreddits: r/bitcoin, r/ethereum, r/ethtrader, r/icocrypto, r/ico, r/icoanalysis, r/cryptocurrency. 2. Posts and Comments with negative Karma will not be accepted. Any kind of spam will not be rewarded either. 3. Bonus stakes will be awarded when comments or posts have at least 10 upvotes. 5. Share the URL to the Reddit post you made in the Bounty Topic in order to get the stakes. Your twitter account must have at least 100 real followers. You have to post at least 1 tweets per week about GLN with the hashtag #GLNTokenSALE. Tweets need to be posted in the Bounty topic every week. Note: We check tweets and retweets manually, so please be patient. You have to make at least 2 posts per week about GLN, with the hashtag #GLNstakesale. Only 1 post per day allowed. Posts must be posted in the Bounty topic every week. Support our project by writing an article, blog or a review about us. Your text must be original. Copying and stealing other people’s content brings to disqualification. The audience for the posted article must be crypto related or match a use for GLN or promote the token sale to a suitable audience. The website must have a genuine audience. To identify you as the owner of the work, please also include a link to your Bitcointalk profile in the article. Medium, Steemit and other free Blogs are allowed. but one person can only write 1 Article in each of these. 5 articles allowed in premium blogs and websites with .com, .net. .org etc domains. Headlines for all articles/blog/review posts must be SEO friendly and contain the keywords GLN ICO. Writers should familiarize themselves with the official white papers to ensure accurate depiction of GLN's strategy, features, uses and technology. We are giving a large number of stakes to motivate users to create videos about GLN ICO. Describe GLN, ICO, and its features. Video length must be minimum 60 seconds. You can upload them to Youtube, Vimeo and other sites. 3 videos is a maximum per person. We will give stakes according to the quality and audience of the article/review/blog post/video. The better it is, more stakes you receive. The amount of stakes assigned is non-negotiable. You can promote the crowdfunding ICO, or the concept, but you can also promote the Bounty Program itself to bloggers and social media influencers. The larger the audience and growth of GLN, the greater the value of your Loot tokens will be on the exchanges. Join our channel and get the stakes! Each member that joins will receive 25 stakes. Members must stay in the group until the end of the campaign. This is a one-time offer. All those users that stay active until the end of the bounty by posting constructive messages and encourage discussion will receive additional 100 stakes. Help us to become famous by participating in our Instagram campaign! Join us on Medium and claim your stakes! 25 stakes per article clap. To receive your stakes, you have to clap articles from the Medium blog post (and follow it) that is provided below. GLN reserves the right to accept or reject any new participants during or after token launch. Be sure to read all terms and conditions before sending us any submission. If you send us a submission for this bounty program, you are agreeing to these terms. If you do not want to agree with these terms, do not send us any submissions or otherwise participate in this bounty program. You are confirming that you are at least 18 years of age and have full capacity to accept these terms. You are confirming the details you submitted are true and accurate. You acknowledge that if you accept your bounty, you are solely responsible for all applicable taxes related to accepting the bounty and any required reporting obligations. You acknowledge that you must use proper language in all publicity materials. You acknowledge and agree to take all commercially reasonable measures to ensure that the goodwill and reputation of GLN is preserved and protected. GLN has the absolute discretion to determine whether the bounty conditions have been met. Any disputes or claim arising out or in connection with the bounty program shall be governed by and construed in accordance with the laws of the United States. 1. You have to fill the Application form in order to claim the bounty at the end of the campaign.